Reggie Brooks is an International Speaker and Author and has developed a unique niche that makes large profits in real estate year after year. And it doesn't matter what direction the market is moving in, Vacant/Distressed Properties has been, and still is the real estate investor's competitive edge. Why? Because there are large profits and not much competition. 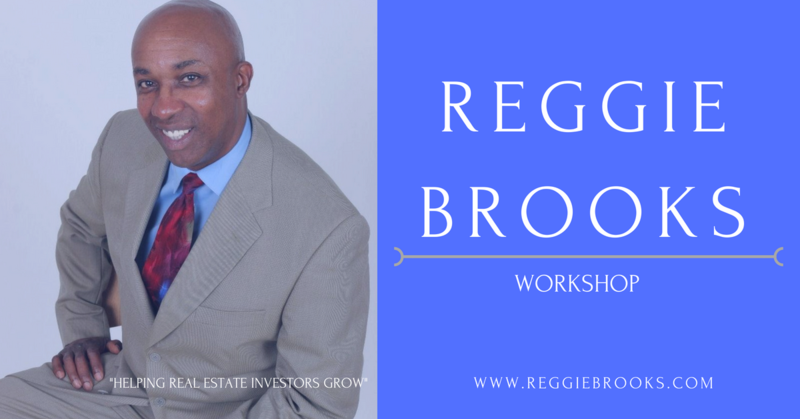 Reggie will reveal some of his greatest strategies on how to find those profitable vacant/distressed properties, how to find the owners, how to get the owners chasing you to sell you their properties. And Reggie's going to show you how to do it with no money, no credit and no job. Key in on the hot new tips and insights into how the professionals find deals in today’s market! Event Date Saturday - 05-19-2018 - 8:30 a.m. Event End Date Saturday - 05-19-2018 - 5:00 p.m.